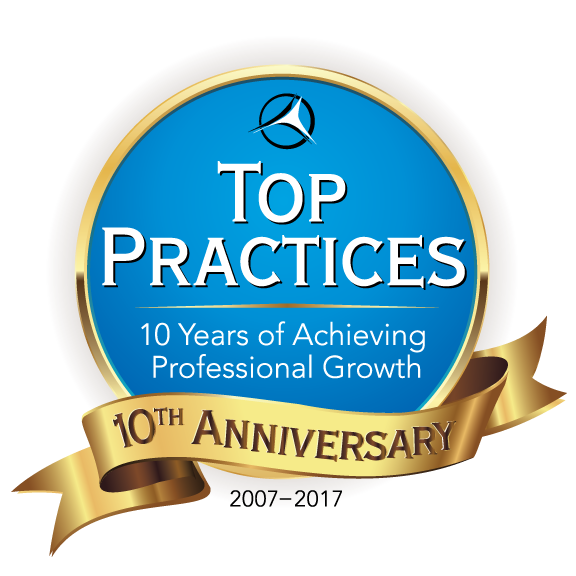 January of 2017 is a special time for us here at Top Practices – it’s officially our 10-Year Anniversary! Ten years ago Top Practices launched to help podiatrists expand and grow their practices through smarter and more effective practice marketing. Since then, the years have flown by as Top Practices has grown to offer a wide variety of services and products, solidified our Four Pillars of Marketing, helped many different doctors with their marketing and practice management, hosted ten highly-successful Summit conferences, and much more! When Top Practices launched in January of 2007, we had just a handful of podiatrists who were looking for ways to grow their practices and meet their goals as our members. Since then we’ve grown to help hundreds of podiatrists and other doctors in North America and Australia—and we even have a number of our original members (including our first member!) who have remained members for the entire 10 years of Top Practices. It says a lot about the value they’ve placed on their membership over the last decade. But you don’t have to take our word for it – hear it directly from them! Ten Years Strong…and Still Growing! Since launching ten years ago, Top Practices has grown and expanded to serve physicians and their practices in several different specialties (podiatrists, plastic surgeons, and OB/GYNs), and seen our own incredible successes. We’re proud of all our members and how they’ve successfully put our strategies and techniques into practice, so they can live the kinds of lives they want for themselves and their families. 2017 will be a big celebration of everything everyone has accomplished so far—as well as looking forward to all we can do in the next ten years! Thanks to all our members for making Top Practices what it is today! If you’re not a Mastermind member but are interested in seeing the same kind of success in your own practice, contact us to learn more. You can reach us by e-mailing [email protected] or by calling (717) 725-2679.